Rent two large rooms, with double beds, historic area, 5 minutes walk from the beach of La Caleta, you have close, the largest green area of ​​Cadiz, Genovés park, Santa Barbara promenade, mall, close to supermarkets, stops Of bus, taxis, health center and pharmacy, estancos and zone of gastronomy gaditana, Very quiet area, but central. The rooms, are on a third floor, without elevator The apartment is fully equipped, I do not have any restrictions, if I ask for cleanliness and education, you can smoke in the common areas, but not in the rooms, My name is Jose Antonio, and I am 51 years old, we will share the floor. full floor without sharing. furnished with elevator outside .Luminoso and well equipped. || || Close to beach and buses. Rent single room and private bathroom, with window to the outside, bright, tv and wifi. The house is located in the most central street of Cádiz. Surrounded by the most important museums and monuments of the city. Pedestrian area, parking and taxi rank less than 100m away. Area of ​​shops, bars and restaurants. Bright and spacious room in a shared flat. Including community fees, electricity, water, internet, landline. For those who want to live in the historic center of Cadiz, well connected, with bus stop, port and train station 5 minutes. A 10 minute walk from the beach. It is an apartment located in a nineteenth century house, renovated. Lovely view of the landscape of roofs of Cadiz. I rent a room in the old town of Cádiz, very close to the universities. Bus stop, train, and in the center of the historic center of Cádiz. The price includes electricity, water and internet. Calm and family atmosphere. Room for rent. In the city center. On the floor we live a marriage, we like to talk and advise of places you can visit in the city. I rent a room in the old town of Cádiz, ten minutes from the universities. 5 minutes from bus stop and shops. Very spacious room (30 m2) in a house of 300 m2 in the historic center of Cadiz, next to the main tourist attractions. The room has 3 beds: one double and two singles. The house is on a pedestrian street with shops and restaurants. The bus and train station is just a 5-minute walk away. The beach is a few minutes walk away. House inhabited only by the owner. The use of the kitchen is not allowed except the refrigerator. Towels are provided from 2 nights stay. Very spacious room (20m) ideal for one or two people. Located in a house of 300m in pedestrian street of the center of the city, next to the main tourist attractions and a few minutes walk from the beach. Possibility of adding an extra bed for a third person. Linen, towels and wifi included. Use of kitchen is not allowed, except fridge (there is one for guest use only). Towels are provided from 2 nights stay. Apartment In Cádiz 50 Meters From The Beach Of La Victoria. Magnificent apartment 50 m from the beach of Victoria. Terrace of 32 meters to the main Avenue. Floor with lots of light. Air conditioner. 3 bedrooms Two bathrooms Office next to the kitchen. All at the same price as a hotel room. Rent in Cádiz, Avda Cayetano del toro, next to the beach, opposite the stadium, from 23 to 31 August very clean 3 bedroom apartment, 6th floor, for 5 people, very bright, quiet. 2 lifts, concierge service, wardrobe in each room, air conditioning in the lounge, 1 bathroom, 1 toilet, full linens, towels, dishwasher, microwave, small appliances. Very well furnished, no pets, all urban bus lines. Comes and train station 5 minutes, supermarkets, shops and public garages in the vicinity and in the basement of the building. The price 700 euros 9 days. 600 euros a week. Piso 4 dormitorios 2 baños cocina salon balcon lavadero 120mts. Alquilo una habitación. Cerca de estación de trenes y autobuses. A 15 minutos de la playa. En el piso vivimos un matrimonio. It is a flat with everything you need to be well. You can go down and you will have everything at hand, especially tapas bars and transport. The beach is 10 minutes walk. Apartment on the ground floor of our house with independent access. 2 minutes walk from the beach of Fuentebravía. It has a large private terrace / patio. Very nice and bright. Usable area 34 m2. Private parking The apartment consists of a bedroom with a double bed, a bathroom, and a living room with a built-in kitchen and a double sofa bed. Ideal for a couple with one / two children or for two well-matched couples. Apartment on the ground floor of our house with independent access. 2 minutes walk from the beach of Fuentebravía. It has a large private terrace / patio. Very nice and bright. Usable area 34 m2. Private parking The apartment consists of a bedroom with a double bed, a bathroom and a living room with a built-in kitchen and a double sofa bed. Ideal for couples with one / two children or for two well-traveled couples. Beautiful and careful terraced house on the beach of the nets in the port of Santa María in Cádiz. Only 200 meters from a huge beach in the bay of Cádiz. 4 bedrooms, 2 full bathrooms and a toilet on the ground floor. Very large diaphanous ground floor with American design kitchen and large equipped terrace. Magnificent urbanization networks fully consolidated and on the beachfront, all kinds of services and good communications with the city center just 1.6 km. Chalets area with wide avenues and equipped with large public facilities, playgrounds, churches, supermarkets, schools and health services. Public bus stop at 50mts. Room in quiet apartment of 120m near the entrance of cadiz. The apartment is completely renovated. The price includes all expenses. Possibility of a second person. Lowest price for stays longer than 1 month. Area with easy parking. Apartment decorated marine style. The apartment is located about 8 minutes walk from the beach (Playa de la Costilla, Playa del Chorrillo, Playa de los Galeones and Playa del Rompidillo) and about 6 minutes walk from the town center. At less than 3 minutes walking there are all kinds of services: Supermarket, Bars, Restaurants, Plaza de Abastos, Shops, Pharmacy, Theater, etc ... Because of its location and having a large parking lot on one side it is easy to park during all the year. In front of the door of the building there is a bus stop of Rota Urban Buses that leave it at any beach, including Costa Ballena and Punta Candor Beach. 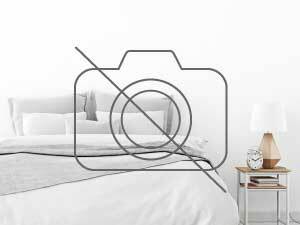 <P> Cozy apartment in the center of Puerto Real, C & aacute; diz. It is third and STILL last floor with elevator, with much RIVER chasm light and overlooking the entire population & oacute; n. Sleeps up to five people, is located on a wide street with F & aacute; easy parking. The station & oacute; n train 5 minutes and the nearest bus stop STILL sa s & oacute; the 1 if you want to visit Sevilla, M & aacute; laga, Granada without having to drive to all & iacute ;. The golf course is about 10 minutes by car. From Puerto Real you can visit the places m & aacute; s emblem & aacute; Ticos in the province of C & aacute; diz: Jerez, Puerto de Santa Mar & iacute; a, the beaches of Conil, Zahara, Sancti Petri and Barrosa without paying the price of these areas . Rent for d & iacute; loose as </ p>. a maximum of 3 rooms are rented for single days or short periods (with private bath) in a family house in the Golf Course Puerto Real home. House of 170 m2. Plot of 500 m2 with barbecue and small pool (5x2 m). Possibility to accommodate pets and children. Possibility of healthy foods at meals. The house can be rented in full or in the room, there are 6 rooms available on the 1st floor, including 2 rooms with 4 beds, 1 familial room with 4 beds and 1 matrimonial, 2 rooms with a large matrimonial bed, 1 room with 2 separate beds, 2 bathrooms wc, shower available. Enjoy the living room with TV XL, the kitchen is equipped with 3 fridges, freezers, microwave, oven, crockery for 25 people, veranda with music installation, swimming pool 12m x 5m, 70m3, outdoor terraces, BBQ, table, deckchairs, hammocks, various places for meals, garden, w. C, sink, on the ground floor. The pool is deep and unsafe, the place is not suitable for families with young children and can not swim! there is no supervision. Animals are not accepted as a rule, but on request we can arrange. By car, McDo is 10 minutes from the house and the beach 25 minutes, the highway is 5 minutes. The owner does not speak Spanish, but French, German, English. There is a consignment available for your valuables. All rooms are equipped with a lock and can be locked with keys. Cádiz es una ciudad perfecta en la que vivir porque tiene muchas cosas de las que enamorarse. Para empezar sus playas, como la playa Victoria, que te sorprenderán y querrás seguro frecuentarlas cuando seas gaditano/a de adopción. Después no hay nada como Si vous comptez venir vivre à Cadix, vous deviendrez alors officiellement un(e) habitant(e) du département Cádiz. Vous ne tarderez pas à découvrir les nombreux atouts de cette ville qui en font une destination si plaisante. Que ce soit pour séjourner en location vacances à Cadix, en chambre d'hôtes à Cadix, comme pour vivre dans une location meublée à Cadix, chez l'habitant ou en colocation à Cadix, vous trouverez forcément votre bonheur sur Roomlala. Habiter à Cadix, c'est aussi profiter des riches traditions et coutumes locales de la région Andalucía. Mais la plus grande force de Cadix, c'est de loin ses habitants et habitantes : 118.919 personnes ont choisi de vivre à Cadix. Si vous êtes nouveau à Cadix, vous ne tarerez pas à les rencontrer ! À Cadix, vous pouvez trouver une chambre à louer chez l'habitant, en colocation ou location meublée dans la rue qui vous convient le mieux, comme par exemple Calle Ancha, Calle Virgen de la Palma, Paseo Fernando Quiñones. À défaut d'y vivre, vous pouvez y flâner, vous rendre dans les commerces du coin ou simplement vous balader. Vous préférez vivre dans un quartier plutôt familial, un quartier vivant, le centre historique et culturel ou à proximité de nombreux commerces ? Prenez le temps de vous renseigner sur les quartiers de Cadix. Vous saurez ainsi où vous préférerez louer un logement. Peut-être Barrio del Pópulo, Barrio de Santa María, Paseo Marítimo, Barrio del Mentidero, Barriada de la Paz ? Si vous n'avez pas le permis ou ne souhaitez pas investir dans une voiture, sachez qu'à Cadix, vous pouvez vous déplacer en bus. De nombreuses stations y sont desservies : parmi elles Estación de Autobuses de Cádiz, Plaza España, Avda del Puerto. Besoin de vous rendre à l'aéroport pour prendre l'avion ? Vous pouvez facilement vous déplacer pour vos vacances, voyages et déplacements professionnels depuis aeropuerto de Cádiz. Vous êtes fans de musique, comédies musicales et concerts ? Louer un logement à Cadix offre la possibilité de venir applaudir de nombreux artistes dans plusieurs salles de concert telles que sala supersonic, El pelícano musicafé, Momart Theatre. Souvent plus variés que les concerts et très fédérateurs, les festivals de musique de Cadix comme Festival Cabo de Plata, No Sin Música Festival, Festival de Música Española de Cádiz vous feront aimer y vivre. Si vous emménagez tout juste dans votre logement à Cadix, rendez-vous aux évènements sportifs locaux pour faire de nouvelles rencontres. N'hésitez pas à vous renseigner sur les matchs et rassemblements sportifs ayant lieu au estadio Ramón de Carranza. Parmi les évènements sportifs de Cadix, on compte notamment Media maratón Bahía de Cádiz, Circuito Provincial de Cádiz BTT, Torneo de Voléibol. Vivre à Cadix c'est bien, pouvoir s'y cultiver c'est encore mieux. Pour vos dimanches pluvieux, filez visiter les musées de Cadix, parmi lesquels on retrouve Museo de Cádiz, Museo de las Cortes de Cádiz, Casa Pinillos. Les jours ensoleillés, sortez prendre l'air et flânez dans les différents squares de Cadix : Plaza de las Flores, Plaza San Antonio, Plaza San Juan de Dios. Accompagné(e), profitez-en pour papoter. Seul(e), rattrapez vos lectures en retard : munissez-vous d'un bon bouquin et évadez-vous au square. Le meilleur moyen de découvrir une ville, c'est encore de s'y perdre. Si vous habitez à Cadix, vous ferez forcément un petit détour par La Catedral de Cádiz, Ayuntamiento de Cádiz, Torre de Tavira, Playa de la Caleta, Mercado Central. Très important : Cadix attire aussi les étudiants pour les divers cursus et formations proposés dans ses écoles et universités telles que Universidad de Cádiz. Roomlala diffuse ainsi des offres de logement étudiant permettant d'y louer une chambre chez l'habitant, un appartement meublé ou d'y vivre en colocation, pour 9 mois (bail étudiant) comme pour un an.